The queen of everything weird is back. 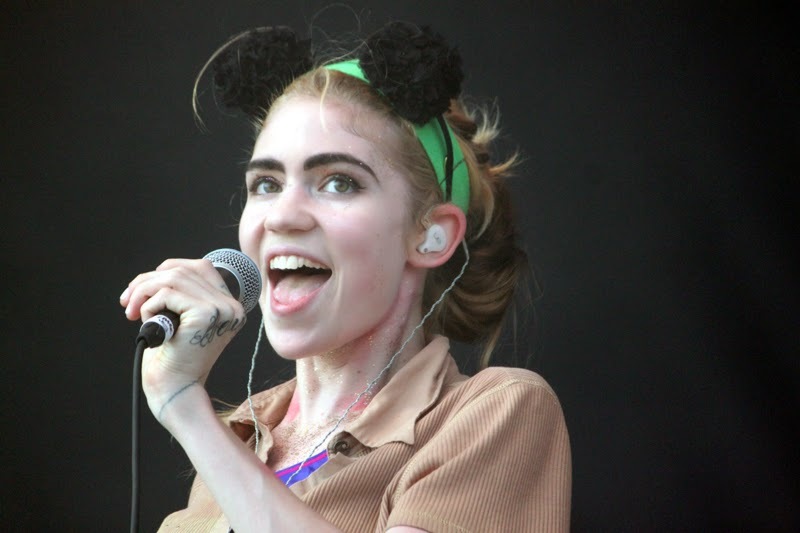 Grimes has been gone awhile, and if I had to guess where she has been, I would say lurking around the Game of Thrones set or stalking Shakira. These guesses are based upon her amazing twitter feed, which is ironically/unironically/the-result-of-too-much-acid hilarious. Here are some prime examples. U rock don’t change Grimes. Anyways, this is her new song Go featuring frequent collaborator Blood Diamonds. While Grimes has a tendency to sing like a haunted baby, this new snazzy production is doing good things for her vocals. It moves away from the whiny and toward Imogen Heap territory, which I'm always down for. If it reminds me of the O.C. and Sandy Cohen’s mythical eyebrows, it’s a step in the right direction. I luv u Azerbaijan.